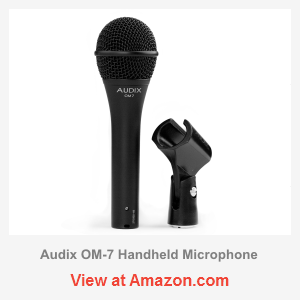 Audix OM-7 is a hypercardioid microphone /w dynamic capsule designed specifically for live performance. It’s been out for some while and I happened to hear only positive reviews, which seemed to me rather exaggerated back then. But recently, I was able to test it all out myself and comparing with other models, the results got me astounded… It is hard to believe how much better can this guy make you sound on stage! As we discuss the advantages of Audix Om-7, I would like to go through some of the most common problems that musicians face during live performances. The stage and studio microphones are completely different. 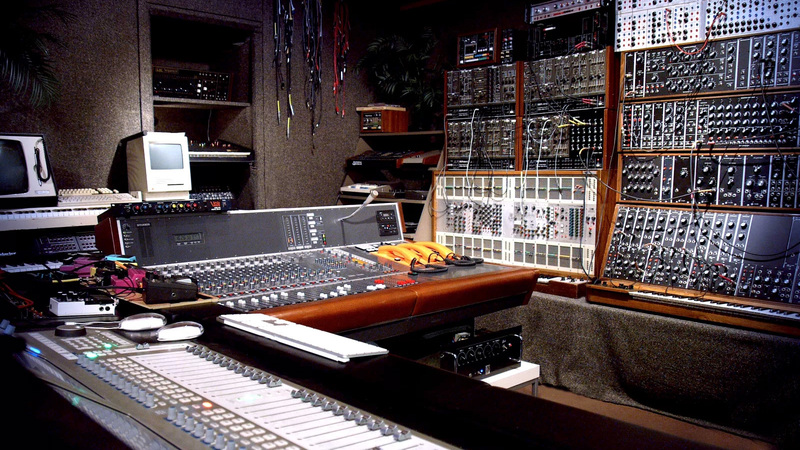 In studio recording, the goal is to capture precise and neutral sound, which is easier to work with and can be post processed if needed. However on stage, the conditions are much more aggressive, and if something didn’t sound outright good you’ll never have a chance to retry. 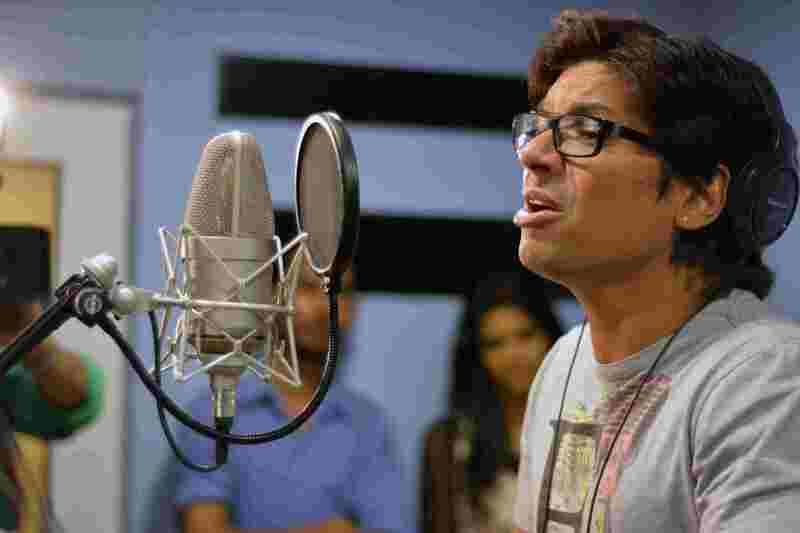 The more aggressive the stage is, the more difficult it is for a singer to sound right. Many singers can’t even hear their own voices. Some mics simply cannot cut through, especially if it’s modern music or rock. As a result, the vocalist will have to raise his or her voice to find himself (herself) performing out of comfort range. Not only will it sound terrible and amateurish, but may also result in vocal cords injury. Other singers will attempt shoving microphone into the mouth or even cup it with their hands (please don’t do this) to gain every bit of gain possible. Even though some mics are designed for abuse, this will result in overblown lows and intolerable mud. Om-7 has a decent amount of brightness and a very balanced low end, so there won’t be such problem. Back vocalists might be facing another issue called ‘bleeding’. For instance, a typical drum set is quite loud by itself, so when you stand near your microphone also captures it. The point is, some musicians will always stand close to something else. In a mix, this results in muddy confusion, which you want to avoid. The more back vocals are there with their mics on, the more destructive can bleeding become. Then again, if you happen to have noisy crowds, some of their shouting and whistles may get both recorded and translated through PA system. To combat those issues, performers use mics with tighter pick-up patterns, I.e. cardioids, supercardoids or hypercardioids. However, the tighter the pick-up pattern is, the more it has to deal with proximity effect. A mic with a tighter pick-up naturally gives an exaggerated low response that often gets quite out of place. To combat this, manufacturers tailor the mics’ frequency patterns accordingly; however, it is very difficult to achieve that perfect balance and most of the mics especially in a budget price range fail in doing so. OM-7 has a tighter hypercardioid pattern, which helps to minimize the amount of bleed and improve the gain before feedback tremendously. We’ve reviewed a number of hypercardioid mics before but in this aspect OM-7 is clearly the leader. This means, even singers with weaker voices won’t have any struggles as you can simply add more gain, without worrying about the consequences. The mic also cuts through beautifully and works great for both female and deeper male voices. Can this mic be used for something like karaoke? Well, yes – just make sure you can add enough gain, because its signal output is quite low and it requires a bit of amplification. Some cheaper karaoke systems won’t have that option, so be careful. Audix OM-7 offers an exceptional clarity and despite being hypercardioid it produces a very natural tone, so it shouldn’t hurt, although if feedback and bleeding is not an issue it is of course more logical to stick with some common cardiods instead. The design of Audix OM-7 is simple and neat. It has a full metal body with a matte black paint, and it feels quite solid. On the inside, it relies on an advanced capsule with a very low mass diaphragm, which is responsible for its clean and punchy sound. 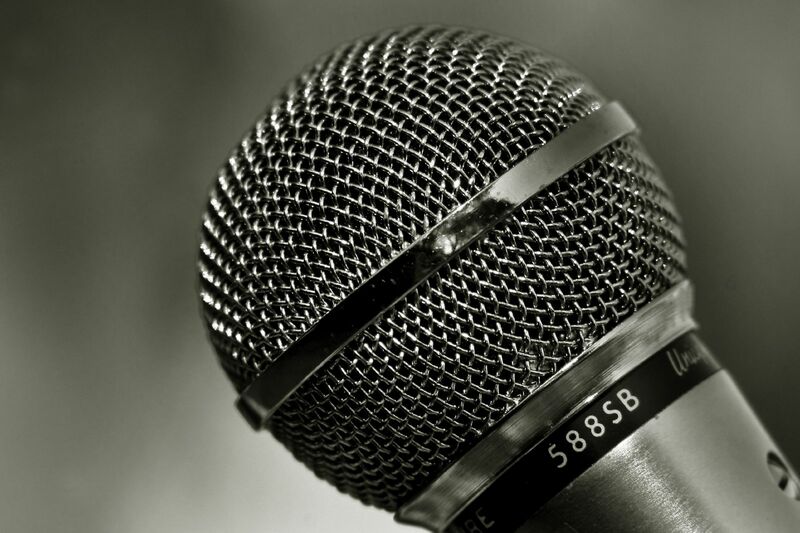 The mic also boasts to have an exceptional transient response, usually present only in quality condenser microphones. As it has a more delicate capsule, I would advise not to be careless about its exploitation. Audix OM-7 can be less durable than SM58 but for sure, it won’t break for no apparent reason and I bet it can survive a couple of good blows. (The secret of SM58’s durability actually lies in a thicker diaphragm, which unfortunately makes it sound rather muffled). 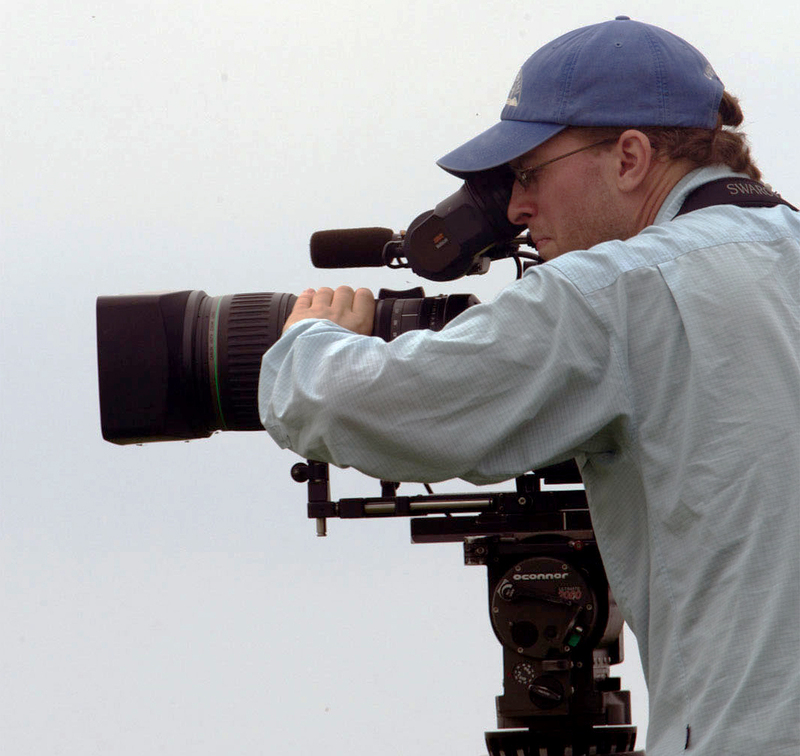 The manufacturer also covers OM-7 with a 5-year warranty, so you’ve got an assurance. 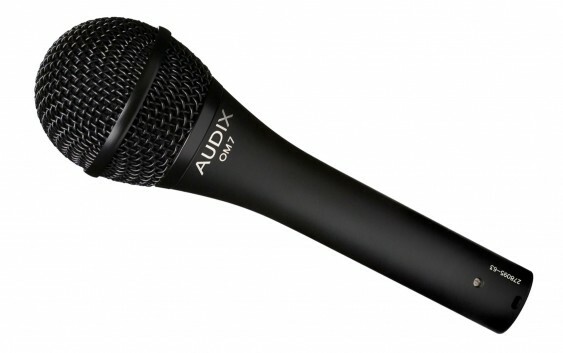 Audix OM-7 is certainly among the best live mics in its category. Such superior clarity, the ability to cut through while being totally free from feedback and bleeding issues are in my opinion priceless. For a stage performer that is… so if you perform on loud stages and want tightest pickup, it’s a no-brainer to grab it. Many singers rightfully find this mic an eye-opener, as it’s quite unique and I’d say, it’s certainly worth adding to your collection. 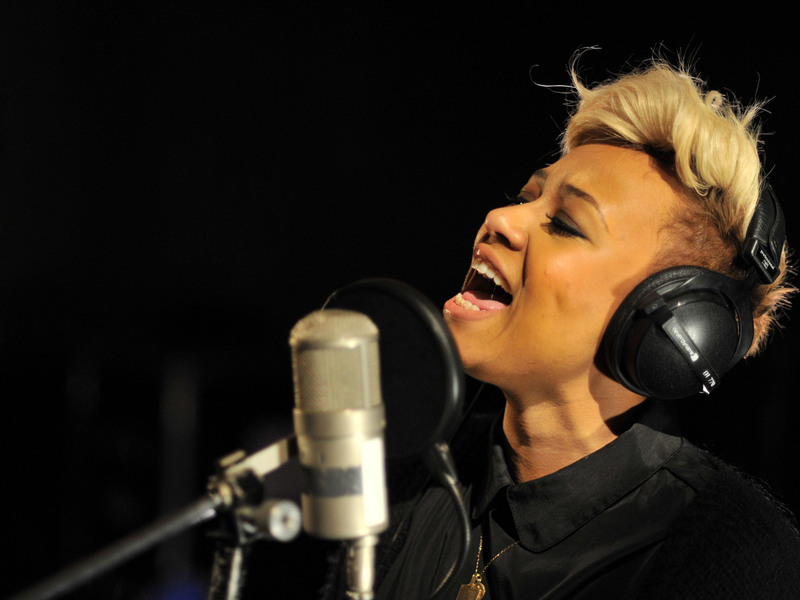 It requires the singer to be right on top of the mic at all times. I think OM7 will have an advantage, but you’ll need to hold it properly. I suggest you check out Audix OM series, I moved your comment here.